AFG - System Integration & Consultants was appointed as Business Partner in the Kuwaiti market for the ORANGE ACCOUNTING® software package. During this event, we had the honour to present ORANGE ACCOUNTING® product to Dr. MOHAMMAD AL-IMADI MINISTER OF ECONOMIC & FOREIGN TRADE. 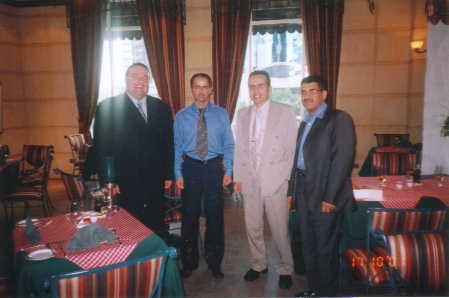 ORANGE ACCOUNTING® software package was introduced to the Syrian market, and many firms were appointed as distributors. Information International - FZC, will be exclusively distributing ORANGE ACCOUNTING® product in Kuwait, Bahrain, Oman, Qatar and United Arab Emirates. Compudata SARL (Lebanon) and Information International - FZC (U.A.E) welcome any Dealer interested in distributing ORANGE ACCOUNTING® product in the above country. 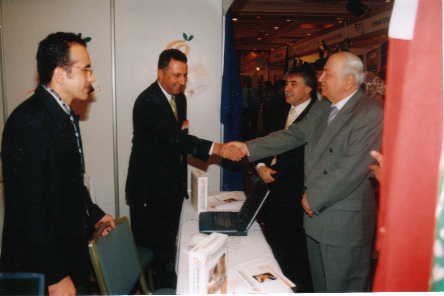 The Golden Chip Awards 2001 was given by PCA-Lebanon (The Professional Computer Association) to 'Compudata SARL' during Termium 2001, for best locally developed software. Termium-Gitex 2001 gathers the largest and most renowned IT companies from around the world displaying the latest in IT solutions and services making the biggest IT event in the whole levant. Termium-Gitex 2001 puts the technology in the grasp of all professionals and keeps them informed of all actual and potential quantum in the IT industry.